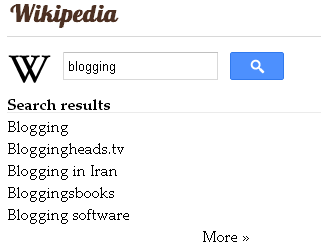 My best blogging platform "Blogger" added brand new Wikipedia Search Box widget to their Gadgets list. This gadget is officially announced and developed by Blogger team, So don't worry about its quality and working speed. With this gadget you and your readers can easily search Wikipedia within your blog. Today in this short tutorial, I will show you How to add Wikipedia Search Box Widget to your Blogger blog?